When you woke up this morning, you might have been feeling particularly jubilant for three possible reasons. First of all, it’s Friday and who isn’t feeling extra chipper at the end of the working week. Secondly, it’s payday for many of us, which means no more beans on toast for tea. Thirdly, there’s a bank holiday weekend on the horizon. So you skipped into work, full of the joys of summer only to find that leading British bank, HSBC were there ready and waiting to rain all over your parade. That’s what happened to many Brits across the country this morning when they discovered their usual monthly salary hadn’t made its way into their bank account. Irate employees and disgruntled business owners alike took to social media after watching their bank holiday plans dissolve into a puddle of disappointment to ask HSBC just exactly where their wages were and to not much avail, it seems. 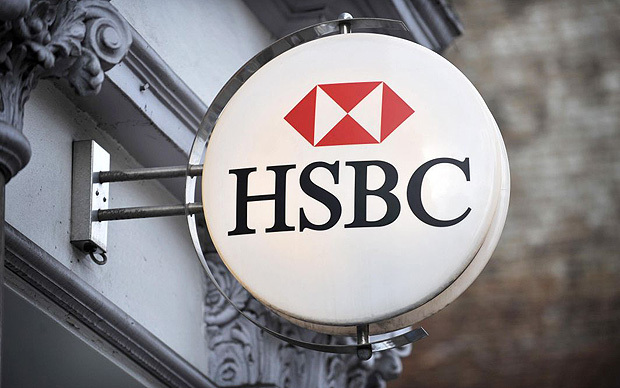 The IT glitch, which remains unresolved into Friday afternoon has affected HSBC business customers, causing major delays in transferring thousands of salary payments through BACS payment failures. The issue means that around 275,000 payments will be affected and will result in many not being paid before the long weekend. The problem reportedly lies with HSBC exclusively and has left other British banks unscathed. What is perhaps more frustrating for wage-less employees and concerned business owners was the lack of transparency the bank provided regarding the situation via its social media accounts. Hundreds upon hundreds of tweets were sent to HSBC’s Twitter feed, many of which were polite employees enquiring about a pending solution, while others took a more forceful approach in expressing their grievance. The bank merely responded with the words: “We are currently investigating alternative ways to ensure credits are received today” and even had the audacity to then go on and capitalise on the situation by rallying for more Twitter followers. The next tweet read: “Follow us and we will provide you with further updates. Thank you for your patience” sparking outcry about a ‘PR disaster’ as well as the IT problem at hand. Ouch! Not a good day at HSBC HQ. Let us know if you’ve been effected by tweeting us @cheap_accounts.